Bindings are where the revolution begins. Those who want to do more than just ski downhill off a lift and bootpack up mountains for corn-snow descents in the spring will eventually need a binding that can release the heel from the ski. A free heel and a pivot near the toe allow flat to rolling kick-and-glide skiing and uphill travel on skis. 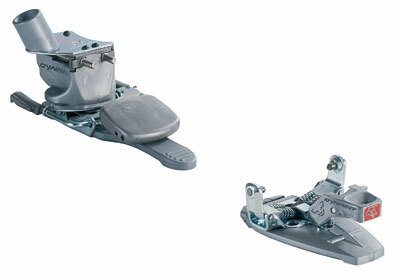 Alpine touring (AT) bindings have a locking heel for the descent, while telemark bindings leave the heel free all of the time. Which way is the correct way to free the heel for you? Ross Peritore skins along the lip of a bergschrund on the Coleman Glacier. 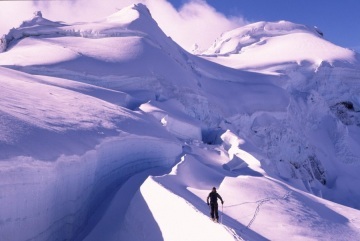 The easiest first step for a downhill skier with a resort setup is a pair of Alpine Trekkers. These devices click into an alpine binding like a ski boot, have a pivot point at the front, and attach to the ski boot like a crampon. They could be good for downhill skiers who want a taste of touring without the full investment of new boots and bindings. The drawback is that this setup will be much heavier – the Trekkers alone weight 2 lbs, 11 oz per pair – than any full AT setup, which makes a huge difference for skinning. Weight on the feet causes fatigue much quicker than weight on the back. There are several AT bindings that look and feel much like traditional alpine bindings. These bindings all function in basically the same way: The boot clicks into a rigid arm that locks into the heel for descents. 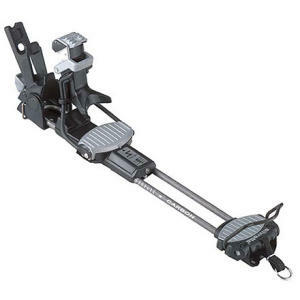 It is standard for AT bindings to feature a safety release mechanism much like downhill bindings these days, although the release is not calibrated to the same stringent standards as a downhill binding. Fritschi has set the standard for years with the Diamir series. Currently, they offer two models: the Freeride and the Explore. The Freeride is heavier, marketed for aggressive skiers, and popular with people who spend most of their time at the resort. The Explore should be plenty of binding for most skiers. The Explore appears to be cheaper, but the Freerides come with ski brakes, which cost extra with the Explore. The last few years have seen the addition of the Silvretta Pure and the Naxo. The Silvretta Pure has a pivot point behind the front of the foot, which can be advantageous for a natural stride when skiing uphill, but there are also unresolved questions about its durability. See http://www.wildsnow.com/?p=641 for a critical review. The first look at next year’s version seems promising (See http://www.wildsnow.com/?p=723), but I’d wait to see. 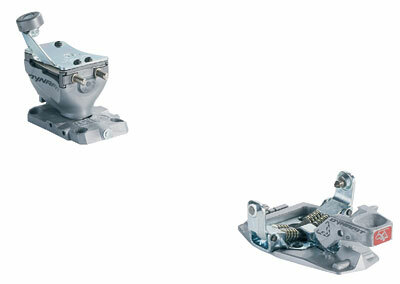 The Naxo is another binding that offers a pivot behind the toe, but at the cost of having two joints. In my opinion, this seems like a weak link and an unnecessary complication, but there are skiers who like this binding. 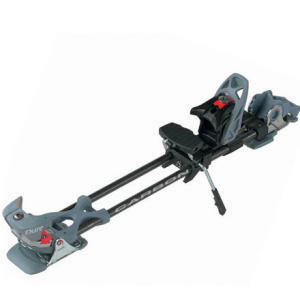 Buy Alpine Touring Bindings Now! 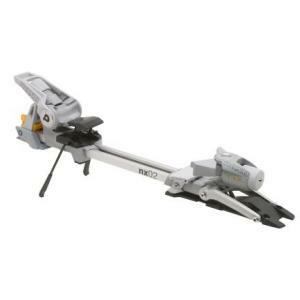 Naxo noX2 Binding On sale! Silvretta 550 LSV Binding On sale! 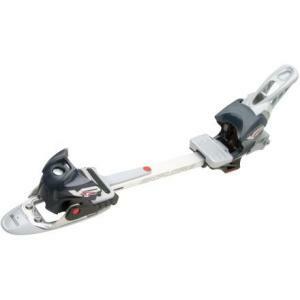 Silvretta Pure Binding On sale! Fritschi Explore Binding On sale! Before continuing, it seems worthwhile to mention that the classic binding of choice for climbers just looking to get to and from their climbs also falls into this last category and comes from Silvretta. The Silvretta 500 LSV is the newest version of a long series of Silvretta bindings that work with almost any crampon-compatible boot and still ski well. Dynafit bindings are the ultimate for backcountry skiers who demand light weight, reliability, and skiing performance. Dynafit bindings eschew the rigid arm and use the boot itself as the connection between the toe and the heel. They are a quantum leap lighter than other bindings, as much as two pounds, not just ounces. This is a really big deal when one spends hours skinning many miles. Dynafits accomplish this feat by using two pointy pins to attach to the front of the boot and two spring-loaded pins to hold the heel. These pins require boots that have special metal inserts for attachment, so skiers who want to use Dynafit bindings must select their boots accordingly. 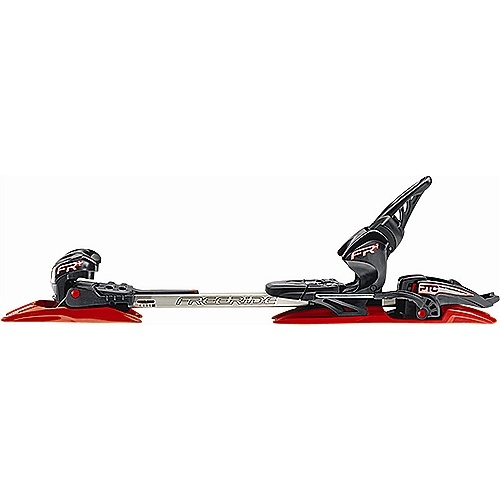 There are several models of Dynafit bindings available. The TLT Classic and the TLT Comfort are the most popular options. The Classic is an ideal compromise for being light, simple, but not prohibitively expensive like the lighter Ti versions. Dynafit made new models this year that cater to skiers looking for something with a more familiar appearance, more like a downhill binding; this is a dilution of the Dynafit aesthetic. The Comforts can be used with ski brakes that work marginally well.